The Community Shelter of Union County would love to meet the needs of every hungry or homeless person we enounter. However, this is not possible. Collaborating with these area nonprofit organizations helps us help those who ARE in need. 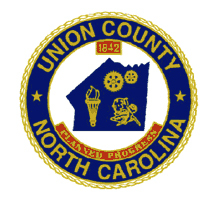 We appreciate the support of all the organizations and are proud to work with them to better Union County. A grassroots movement of friends serving the needs of their neighbors motivated by God’s love; A small revolution of kindness. We are a staff of volunteer physicians, nurse practitioners, physician assistants, nurses and diabetes educators that base our success on our patients’ long-term good health. sources to meet their basic needs. To partner with families in achieving economic well-being, safety and permanence within our community. Good Steward Ministries is a local based outreach program offering clothing assistance to those in need in both Anson and Union Counties. Second Harvest Food Bank of Metrolina strives through education, advocacy and partnerships to eliminate hunger by the solicitation and distribution of food. The agency provides a regional distribution warehouse and branches that supply food and grocery items to charitable agencies that assist people in need as well as providing training, technical assistance and hunger education to our partner agencies. HealthQuest is a licensed non-profit pharmacy that provides free prescriptions to residents of Union, Anson, Stanly, Lancaster and Chesterfield counties who cannot afford prescriptions for their chronic medical conditions. Heart for Monroe is a nonprofit organization that exists to unite and mobilize churches, community organizations and individuals to address homelessness, hunger, education and relationships in our community.